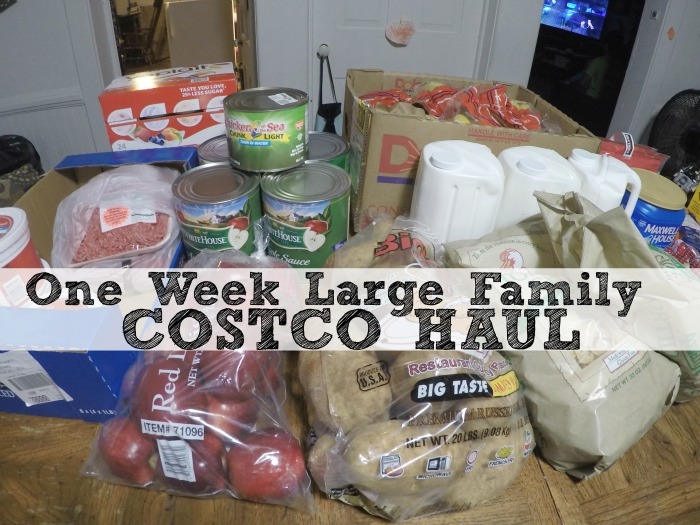 On JamerrillStewart.TV I’m sharing my recent one week large family Costco grocery haul. You’ll notice Lego Indiana Jones being played on the TV in the background. It was a long day and that’s how I was able to film this grocery haul. 😉 Mercy and grace for all the busy mommas out there. 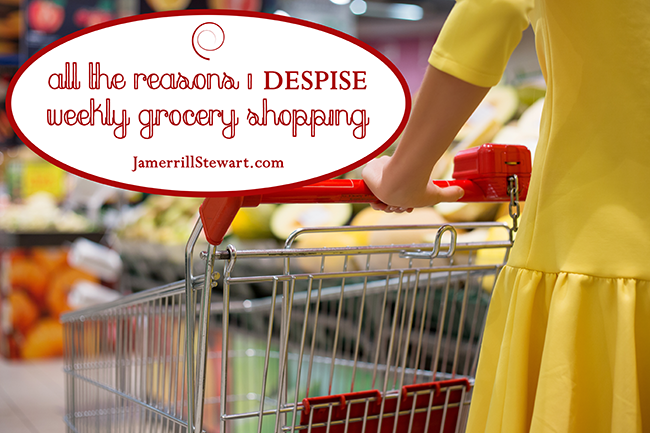 You can also read the full article of All The Reasons I Despise Grocery Shopping Weekly here. I shop weekly due to fridge/ freezer space and wanting to pick up fresh fruits and veggies anyway. Plus we live only about10 minutes from 3 stores so not a big deal and I usually take 6 kids by myself and doing more than a week’s worth of groceries would be too long for all of us. But I do plan meals for the whole month at once, makes it easier for me to see and space out meals that way. 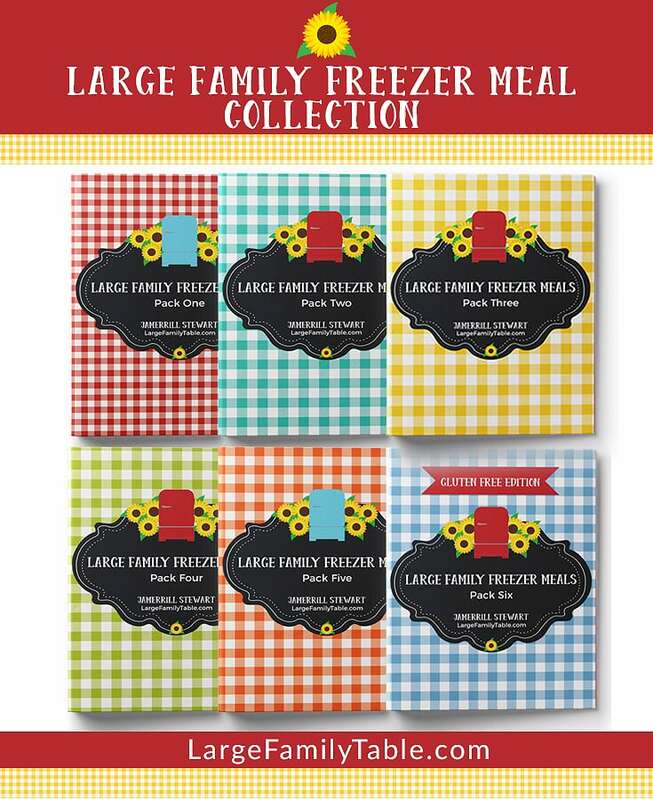 I also do freezer cooking so some weeks I buy extra to make those meals too. What makes weekly shopping work for me is that I still buy ahead, so I try to keep extra frozen veggies, eggs, etc at all time so if I get too low then I’ll buy more than a weeks worth at the store so the that we always keep an extra supply so that if I can’t go to the store on my normal day then we can make it an extra day or two. I have a typed up list of what I normally buy each week so I’m not recreating the wheel each week when making a list, since it is usually the same items. Once a month shopping sounds great, but how do you do that? Almost half of our groceries are fruit, vegetables and dairy, all fresh products. They won’t keep that long. Also, you must have a huge kitchen and pantry. In our house, unfortunately, we already have trouble storing food for a week for the eight of us. Just curious as to how you could plan shopping only once a month. I try to shop bi-weekly but lately it’s turned into weekly since I feel sick during this pregnancy with our 8th child and I just need to get in and out asap! I hate spending a lot of time in the store. I don’t have a lot of time. I took the time when my last baby was born to create a printed out grocery list of items we regularly buy but more importantly I printed them by isle. Don’t you hate having to walk back across a crowded store to get something you forgot? I print it out when I make my menu and highlight the needed items.